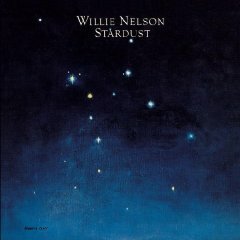 While it wasn’t released until April 1978, tracks to Willie Nelsons award winning album “Stardust” were recorded on this day in 1977. Produced by Booker T. Jones, all the songs on the album consist entirely of pop standards that Nelson picked from among his favorites. Executives of Columbia Records were not convinced that the album would sell well, because the project was a radical departure from his earlier success in the outlaw movement. When released, Stardust was on Billboard’s Country Album charts for ten years – from its release until 1988. This entry was posted on Tuesday, December 11th, 2018 at 8:54 am and is filed under Albums, This Day in Willie Nelson History, You Tube, Vimeo. You can follow any responses to this entry through the RSS 2.0 feed. You can leave a response, or trackback from your own site.